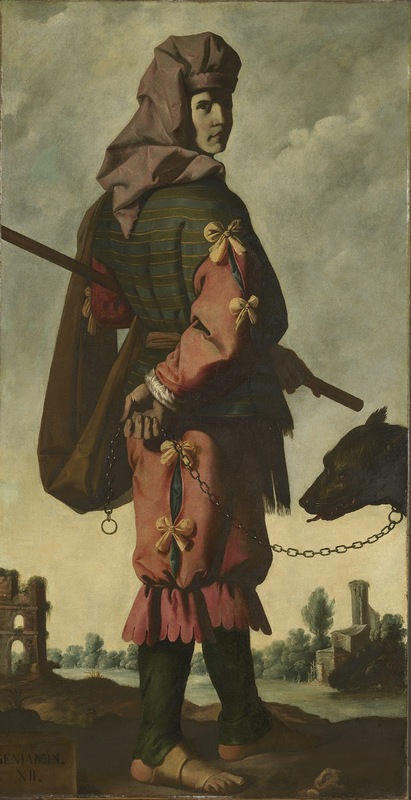 The exhibition, “Zurbarán’s Jacob and His Twelve Sons: Paintings from Auckland Castle” is at The Frick Collection in New York from January 31 through April 22, 2018. 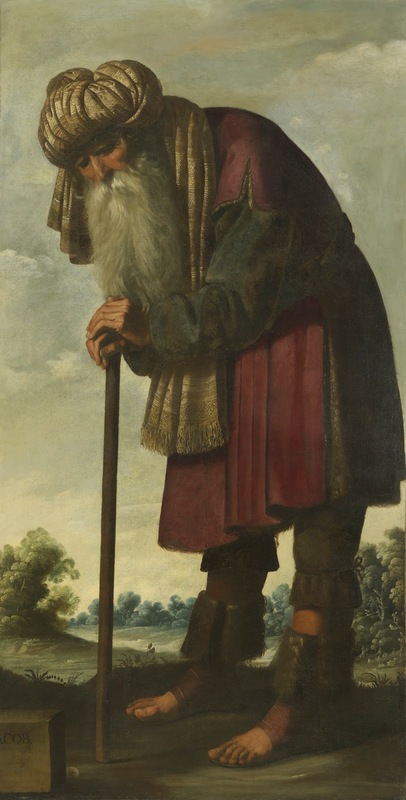 It consists of twelve single figure paintings lent by the Auckland Project / Zurbarán Trust, reunited with a thirteenth from the series lent by Lady Willoughby de Eresby of Grimsthorpe Castle. 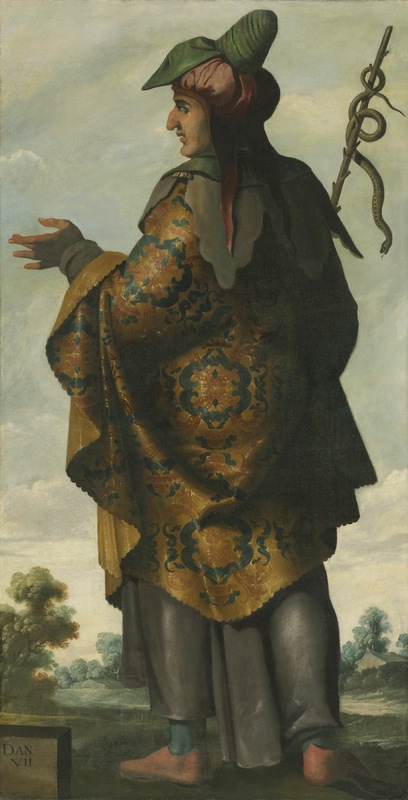 Francisco de Zurbarán (Spanish,1598-1664) was sent from his small town to Seville to apprentice to a little known artist and thought to be largely self taught. He established a prolific workshop in Seville and assisted his fellow Sevillian, Diego Velázquez on a Royal commission in Madrid. In the mid 1630’s was appointed painter to Philip IV. It is said that Philip once declared of Zurbarán, "Painter to the King, King of Painters". With a decline in Seville’s economy in the early 1640’s and then the plague of 1649, Zurbarán turned his attention to the Latin American market, supplying paintings on commission to churches, monasteries, and wealthy individuals while also selling workshop pieces on the open market in Buenos Aires, Argentina and Lima, Peru. It is believed that the series of Jacob and his sons was intended for the New World as other examples of the subject are found in Peru and Mexico. Jacob and his Twelve Sons, is a cycle of paintings all done between 1640 and 1645 representing the forebearers of the Twelve Tribes of Israel. 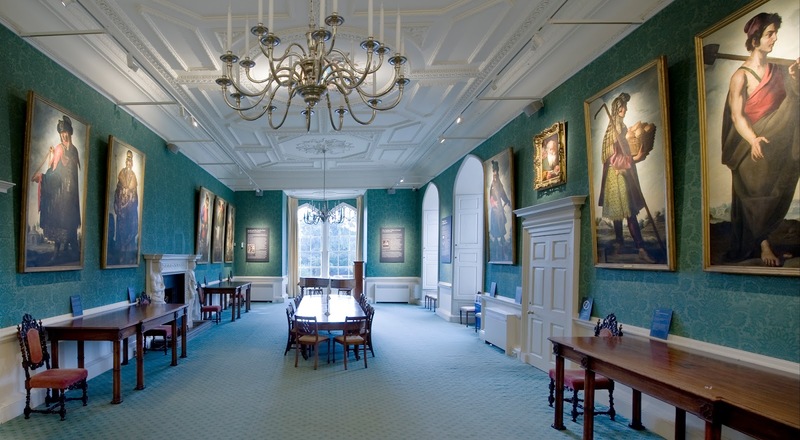 They were purchased by Bishop Trevor, an advocate for the rights of Jews and Catholics in 1756 to hang in the Long Dining room at Auckland Castle where they pleaded his case for political, social and religious tolerance. As each painting is close to 7 feet high by 3 plus feet wide they must have made quite a statement then as they do today. Each canvas tells a story from the book of Genesis. For the Christians Jacob is seen as a prefiguration of Christ and his sons the antecedents of the twelve apostles. In Jacob’s blessing of each of his sons "Dan will provide justice for his people as one of the tribes of Israel. Dan will be a serpent by the roadside, a viper along the path, that bites the horse's heels, so that it's rider tumbles backward. I look for your deliverance, O Lord" (Gen. 49:16-18). 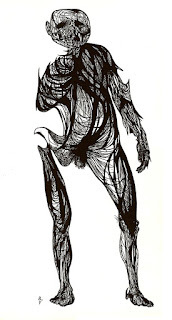 In the illustration you can see Dan’s attribute of the serpent. The only painting from Grimsthorpe Castle is of Jacob’s youngest son, Benjamin who was one of his father’s favorites. Benjamin fathered the first King of Israel, Saul. He holds a wolf foretelling that his tribe would become known for its ferocity in battle. This figure escaped the Bishop of Durham who was outbid on it at the auction where he acquired the rest of the series. 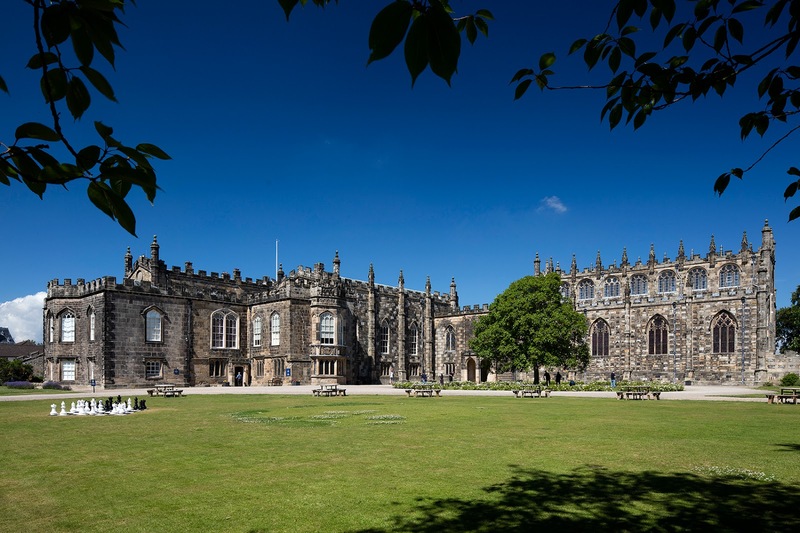 Begun in the late 12th century and remodeled over time ,Auckland Castle was a symbol of power and authority as the primary residence and hunting lodge of the Prince Bishops of Durham. 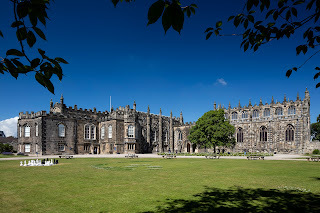 It was purchased from the Church of England by a philanthropic financier, Jonathan Ruffer, and transferred in July 2012 to the Auckland Castle Trust, a charitable foundation created to restore both the castle and grounds and also establish permanent exhibitions on the history of Christianity in Britain and the North East. If you cannot get to the show the catalogue explores the historical, religious, and artistic perspectives on these paintings was co-edited by Susan Grace Galassi, Mark A, Roglán and Dr. Edward Payne, Senior Curator, Spanish Art, The Auckland Project, County Durham. There are also other entries by scholars of Spanish art. When I was in New York a number of years ago I went to visit a photography gallery where the proprietor, who I knew, asked if I had ever heard of Gustave Baumann. I said I certainly had. He told me a client had left a collection of photographs with him to sell. Along with the photographs was this Baumann woodcut that he asked if I could I handle for him. 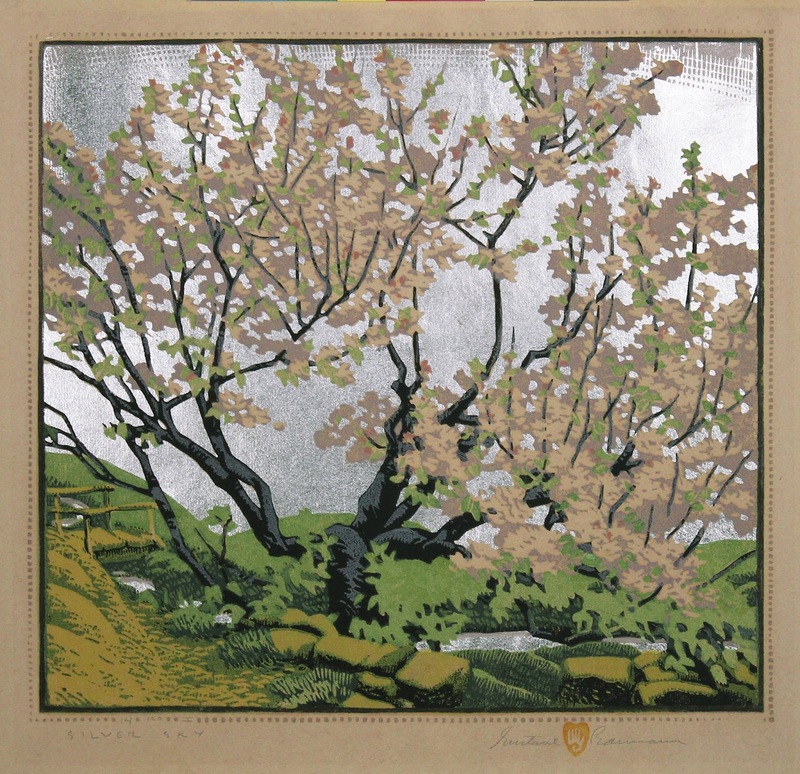 I said, of course I could though I did not know that much about Baumann but had seen a number of his great colored woodcuts and was a big fan. The New Mexico Museum of Art has a great collection of his work and the curator, Merry Scully, told me to get in touch with the Annex Galleries. I did but they were not interested in my print or maybe it was the price I was asking for it! 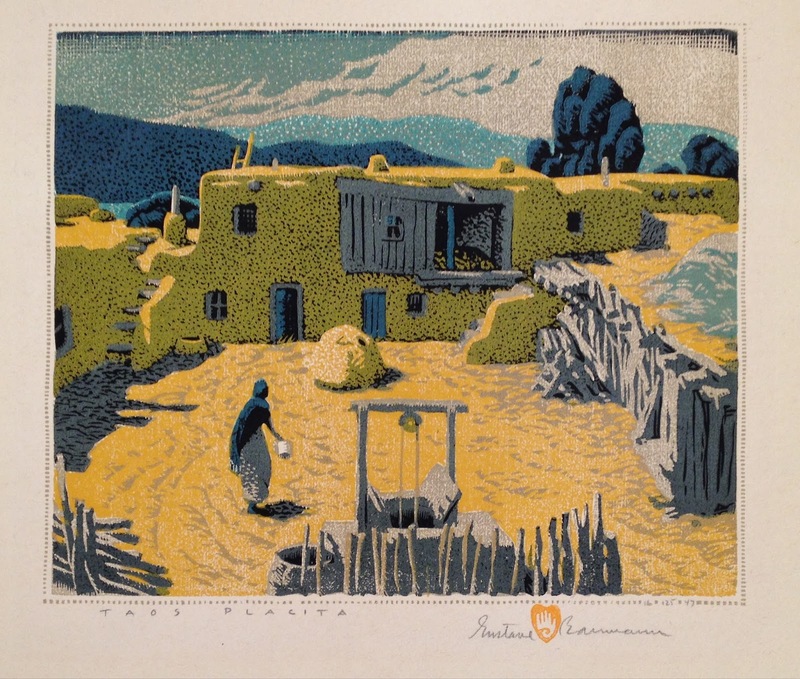 Here is an image of “Taos Placita”, 1947. Anyway, this correspondence via email got me on their mailing list and pretty much every day from then on I got an email with their “Print of the Day”. It was an education in itself. There were 18th, 19th, 20th, and 21st century prints not just European and American but also Mexican, Asian, African and Pacific Rim. The prices ran roughly from $50 to $50,000 with the great majority in the hundreds of dollars. I found, not surprisingly, that what I liked did not necessarily correspond to the price. 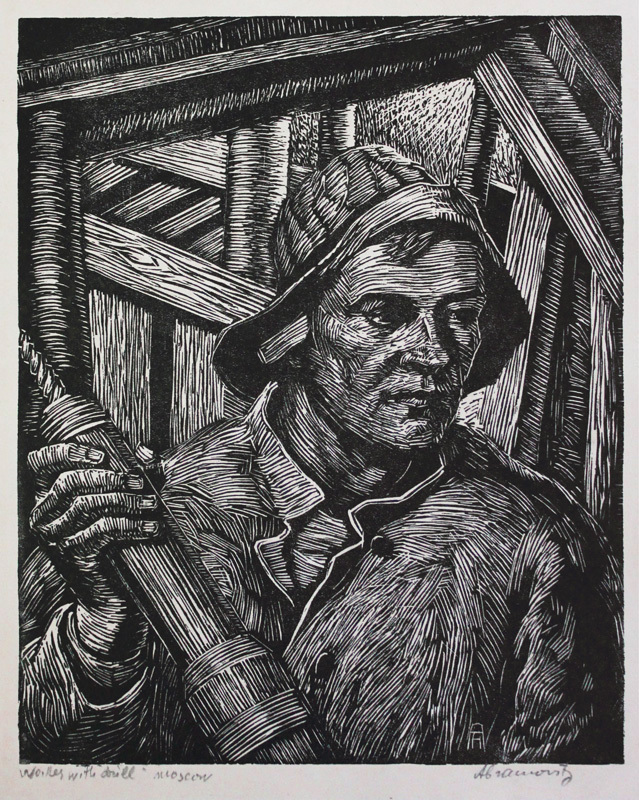 I felt that this website was the answer to all those people who had come to my gallery saying, “I can’t afford to collect” and indirectly to their other question, “what should I collect?” For instance if you are looking for a strong and not very expensive print here is a block print called “Worker with Drill” of about 1935 by Russian artist Albert Abramovitz (1879 – 1963) for $600. The gallery is in Santa Rosa, California and that put the news coverage of the terrible fires last fall on a more personal level for me. I emailed them at the time as I was concerned with their plight. When, shortly after, we saw their stand at the New York Print Fair I asked about a fabulous Baumann print they had up on the wall and the price and I was told “It’s $35,000 but it was just sold” – Bummer! – The lady with whom I was speaking was Gala Chamberlain, she is partnered with her husband, Daniel Lienau, founder of the Annex Galleries. Here is an image of “Silver Sky” the woodcut I saw which is finished with hand applied aluminum leaf. Turns out that Gala and Daniel worked closely with Baumann’s daughter who also lived in Santa Rosa and died in 2011. They are sole representatives of the estate and Gala is the executor; I did not quite understand the transaction. It was explained to me that Gala would buy it from the gallery and give the woodcut back to the estate for resale and then the proceeds could be used for Baumann projects around the country. Gala has just completed the Catalogue Raisonné on Gustave Baumann’s prints, which is scheduled to be published by Rizzoli in 2019. It all began when Daniel was at the University of Wisconsin at Madison and he came across the Roten Gallery, which brought prints to college campuses giving the students a chance to buy with a year to pay for them. 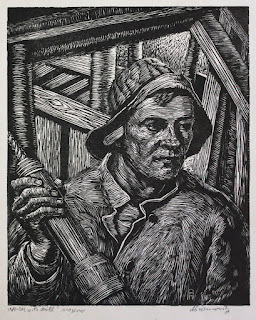 He acquired a monumental woodcut by Leonard Baskin, “Hydrogen Man” for $100 and two Franz Marc’s for $20 each and paid them off over the following year. The rest is history but Daniel started in business as a framer in Berkeley and then San Francisco where he first framed single prints and then editions of prints. He ended up trading frames for cash and prints. He now has over 6,000 prints on his website for every taste and pocket book. Back in the 1970’s prints were not considered a high art like paintings and sculpture so selling was difficult. Since Daniel saw the burgeoning interest in the collecting of photography which, of course, is just a category of prints, he reached out to a New York dealer by the name of Lee Witkin, who was a pioneer in the photography market. Daniel did a show in New York with Lee in the early 1980’s. My wife and I were then regular visitors to the gallery where we bought much of our photography collection. Why were we acquainted with the name and images of Gustave Baumann before we came out to the Southwest? It must have been Daniel Lieneau’s exhibition at Lee Witkin’s gallery. My father always said that we live in a Global Village and it took just 37 years for these links to come together in our lives! I asked Daniel how it is possible to do a global business from a small town in Northern California and the response was interesting. He said that they do 18 to 20 art fairs a year. Having never done more than a couple annually I can tell you that even that was exhausting! Nonetheless, Daniel told me that today he does most of his business on line. I found this rather mind-boggling but with his method of being in continuous touch with potential clients by offering them something new to consider every day,---why not? If you want to start on the same journey into the print world that I did just email the Annex Galleries (http://www.annexgalleries.com) to get on their mailing list for “The Print of the Day”. 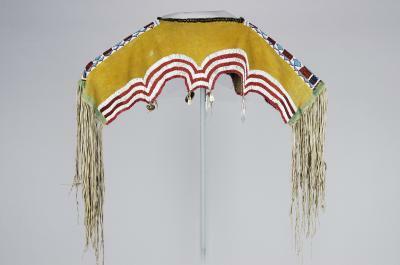 This exhibition focuses on the Apache. There are 5 different main tribes with a number of Bands in each. The five tribes are the Jicarilla, the Mescalero, the Chiricahua, the San Carlos and White Mountain. In the movies the Apache have often been represented as a single warlike tribe lead by Geronimo (1829-1909). The Mescalero-Chiricahua, the warrior and medicine man led bands of Indians on numerous raids during a prolonged period in what he probably saw as protecting the lands of his people which were being settled by the Anglos after the United States’ war with Mexico. The curator of the exhibition is Joyce Begay-Foss (Diné, known in the Anglo world as Navajo). She is Director of Education at he museum and she wanted to call attention to the Apache because she felt that visitors to the museum might only be acquainted with a few of the Pueblos and not the Apache. The show gives an across the board view of how the Apache lived and the utilitarian objects that they made. Each of the tribes was different and approached the creation of these objects differently. 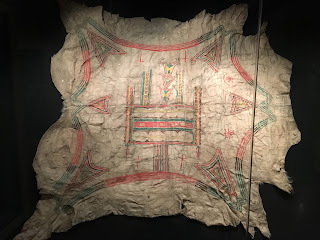 Ms. Begay-Foss approaches her subject in a very ethnographic manner with the accent more on material culture and less on art though I would venture that many of works in the show reach the qualitative term, art. As an aside students have traditionally been taught that there are the Fine Arts, paintings, drawings and sculpture and everything else is decorative arts, which in my opinion is a pejorative term. Not as bad, of course, as at my Alma Mater, Columbia University, where there was a file cabinet outside of the library labeled, “The Minor Arts”. In medieval times, however, there was just art, with no such distinction. The Apache lived a migratory lifestyle, moving around from hill to dale seeking food and good hunting. They camped in tipis that could be easily taken down, transported and put up in the next place. 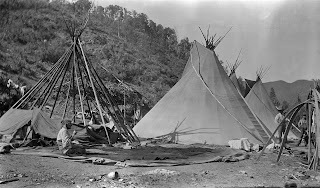 Here is a photo of the Mescalero Apache tipis in New Mexico taken around 1906 by R.H. Robinson. I will illustrate a few objects but there are so many that you really need to see the exhibition for yourselves to fully appreciate its scope. Happily the show will be up into July of 2019 so you can put it on your calendars for when you will be in the neighborhood. The most impressive work in the exhibition is a huge buffalo hide painted to record in abstract terms the early homelands of the Jicarilla. The U.S. government had not yet set boundaries for tribal lands and as a nomadic people they had no sense of their specific land but roamed the Southwest freely. Of course, there were natural boundaries, rivers, sacred mountains, lakes plains and other natural markers. Each band could define their territory using these landmarks. 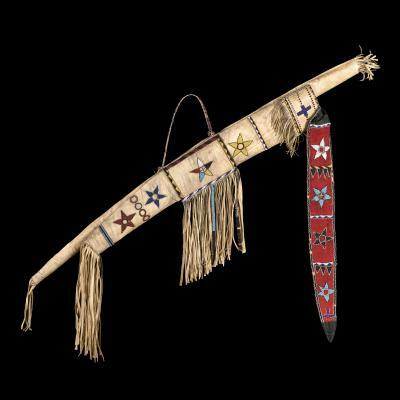 The primary weapon used for hunting was the bow and arrow and here is a Chiricahua Quiver (ca. 1886), which held the arrows. The colorful stars that decorate the brain tanned leather and the red flannel wool are made of tiny glass seed beads. For any group of people procreation is vital to continuation of the species and therefore we protect our children and teach them so that life can continue. In the Apache tribes the children become aware of their identity as male and female through their language, education and cultural values which seems no different from most other worlds except I was not carried around on my mothers back on a cradleboard. Dolls and tiny cradle boards helped to teach children how to take care of their siblings. The style of clothing and moccasins a child wore were changed according to their age and amulets were attached to their garments for protection. The same as we see St. Christopher medals hanging from the rear view mirror in many cars. 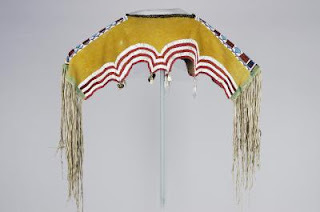 This Jicarilla elaborately contoured and beaded buckskin cape was made for the ceremony of a girl’s passage to womanhood. The dangling shells are amulets. Late 19th early 20th century. There is no catalog for the show but many books on the subject of the Apache. I asked Ms. Begay-Foss, if forced, could she pick a single book to cover the subject and she suggested “Apache” by Thomas E. Mails. Site Santa Fe, our renowned Kunsthalle has been recently enlarged and has had an overall renovation as well. Before you reach the main exhibition galleries there is a curated shop with design pieces opposite a pair of smaller galleries called the SITElab where the exhibition Koto Ezawa, The Crime of Art is installed. As indicated by the title, this is a solo exhibition based on famous art thefts. All the works are new or recently done. As I have at home a shelf of books on art crime, the title of this show caught my attention. Ezawa pays tribute to the stolen works of art with transparencies placed in light boxes. 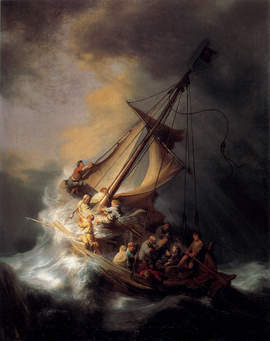 His series devoted the 1990 theft of the Rembrandt, Vermeer, Manet and Degas among others from the Isabella Stewart Gardner Museum starts the exhibition. The case has not been solved in almost 30 years. Every once in a while we seen a blurb in the news that they have another clue but these lead nowhere! The show is not limited to the Gardner theft. Another series of images refers to the famous theft of the Edvard Munch’s, “The Scream” from Oslo’s National Museum. This picture was recovered in Norway after a two- year search. There was another painting stolen as well and tree men were eventually convicted of the crime. 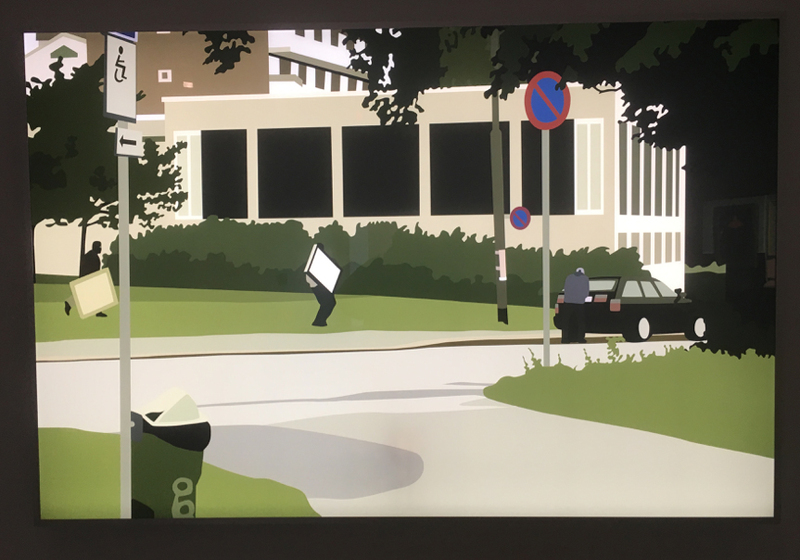 In this lightbox transparency you can see two men carrying paintings and the third opening the back of the wagon to put them in. Ezawa is a Japanese-German artist who was born in 1969 in Cologne, Germany. He currently lives near San Francisco and is Associate Professor of Fine Arts and Film at the California College of the Arts. His work has been shown in many major museums in this country as well as in Canada, London, Paris and Germany. What wonderful self-awareness! I too had the reaction to the work that it was copying though it certainly was not identical replication . It is the theft of thought and who owns art? It is always open to interpretation and what we call appropriation. This has become a serious contemporary legal issue involving copyright law. The Tate Gallery in London defined artistic appropriation as, “the more or less direct taking over of a work of art, a real object or even an existing work of art.” I doubt very much that Rembrandt or Manet are going to go after Ezawa, however! But when you compare Ezawa’s transparency with an original painting you see that he has not copied but simplified in a way like Cézanne simplified form and started cubism and abstraction almost at the same time! 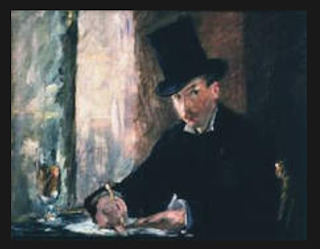 Here, for instance, is his version of Manet’s “Chez Tortoni" together with the original. Again in Ezawa’s appropriation of Rembrandt’s “Storm in the Sea of Galilee” it’s starkness derives from very flat colors and stylized form. The video that goes along with the exhibition is marvelous exposition. It shows among other aspects of art crime the helicopter coming down on the roof of the museum and guards scrambling in the famous Topkapi heist; as so often happens they are too late! I have included a small portion of the artist’s video. In Google you will find many others. I apologize for having “discovered” this show at such a late date so you only have a couple of days to see it in Santa Fe live but a beautifully produced book with the same title has images from this show and a lot more. A version of the show will go on to the Christopher Grimes Gallery in Santa Monica, California.